MarketersMEDIA / Newsroom / Uniqson Analytics International combines blockchain and data analytics with UBBS. Uniqson Analytics International combines blockchain and data analytics with UBBS. Uniqson Analytics International combines blockchain and data analytics with Uniqson blockchain big data system (UBBS). March 23, 2019 /MarketersMedia/ — Uniqson analytics international is a global measurement and data analytics company founded in 2009, USA, that helps global clients develop new ways to utilize data through cutting-edge analytic technology in industries such as media, advertising, retail, food & beverage and fast-moving consumer goods industries. 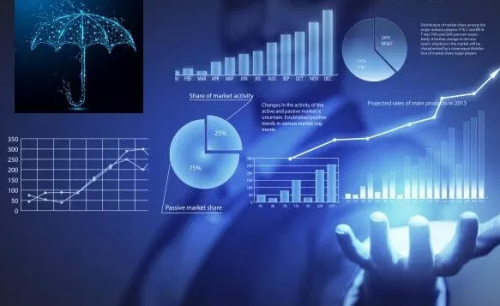 Their proprietary Uniqson blockchain big data system (UBBS) has been well-known within industry experts as a formidable technological tool that combines traditional analytic systems with emerging technologies in Artificial Intelligence (AI) and Blockchain, and it is rapidly gaining recognition around the world. The Uniqson Artificial Intelligence (AI) is an adaptive learning technology, built into the UBBS, that enables marketers to instantly act on changes in audience behavior to improve marketing relevance and results. Enhanced with blockchain, it is not only secure but obtained data becomes more valuable due to its increased structural integrity and immense inputs. Together, this makes the data on UBBS the perfect source for analysis and comprehension. 1.Blockchain-generated Big Data is secure, as it cannot be forged due to the network architecture. 2.Blockchain-based Big Data is valuable, meaning it is structured, abundant and complete, making it a perfect source for further analysis. Due to the fact that cryptocurrencies and other real-world applications of blockchain technology are becoming more and more mainstream, the amount of transactional data stored within various ledgers becomes huge. Storing these vast data lakes at conventional cloud storage providers like AWS or Azure would cost quite a fortune. However, Uniqson Analytics International attests of up to 80% cost savings as compared to AWS. It will be essential for tracking transactions and enabling businesses that use the Blockchain to make better decisions. This is the reason why new Data Intelligence services are emerging to help institutions and governments and other businesses discover who they interact with within the Blockchain and discover hidden patterns. Blockchain technology represents the next step in the evolution of data storage, processing, and quality control. As awareness of the technology continues to grow, observers can expect more companies to adopt decentralized databases, ultimately unlocking new layers of value for themselves and the entire big data industry.